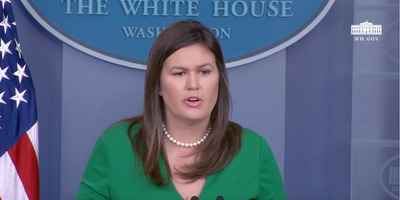 YouTubeSarah Huckabee Sanders made the announcement during the White House press briefing on Wednesday. In a statement announcing his decision, Trump cited Brennan’s “erratic conduct and behaviour” and “frenzied commentary” attacking the White House as reasons to revoke his clearance. Trump also said he was considering revoking the security clearances of other law-enforcement and intelligence officials, many of whom have been critical of him. Former CIA Director John Brennan hit back at President Donald Trump on Wednesday after the White House press secretary, Sarah Huckabee Sanders, announced that Trump had decided to revoke Brennan’s security clearance. In a statement that Sanders read at the start of the White House press briefing on Wednesday, Trump cited Brennan’s “erratic conduct and behaviour” as the primary reason for revoking his clearance. 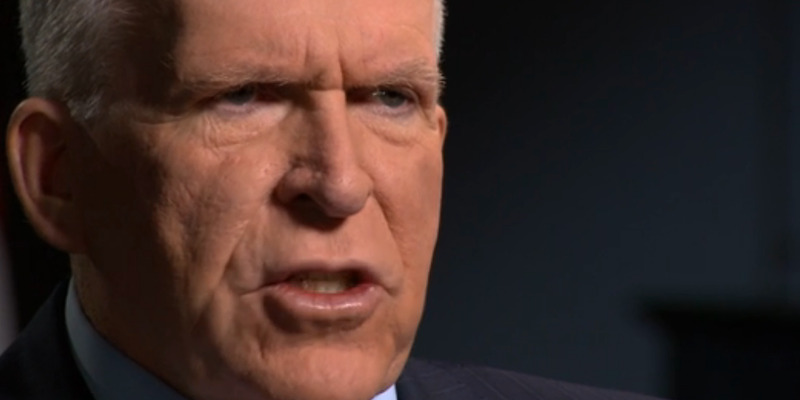 Among other things, Trump pointed to Brennan’s statement to Congress in 2014 denying that CIA officials had improperly accessed the computer files of congressional staffers. “The CIA’s Inspector General, however, contradicted Mr. Brennan directly, concluding unequivocally that agency officials had indeed” accessed those files, the statement said. Trump also pointed to Brennan’s more recent statement to Congress that the US intelligence community did not make use of the so-called Steele dossier in its January 2017 assessment of Russia’s interference in the 2016 US election. That statement has been backed up by several senior former intelligence officials, as well as the former top lawyer for the director of national intelligence. “Mr. Brennan’s lying and recent conduct, characterised by increasingly frenzied commentary, is wholly inconsistent with access to the Nation’s most closely held secrets and facilitates the very aim of our adversaries, which is to sow division and chaos,” the statement said. Shortly after Sanders made the announcement, CNN reported that the White House had not consulted Dan Coats, the director of national intelligence, on the decision. The president also said he was considering revoking the clearance of several other former intelligence and law-enforcement officials – many of whom have been critical of him – in the coming weeks. James Comey, the former FBI director. Michael Hayden, the former director of the National Security Agency. Sally Yates, the former acting attorney general. Susan Rice, the former national security adviser. Andrew McCabe, the former FBI deputy director. Peter Strzok, a former FBI agent. Lisa Page, an FBI lawyer. Bruce Ohr, a Justice Department official. Former intelligence officials often maintain security clearance in case they need to be consulted on various matters pertaining to national security. “If he chooses to do it for political reasons, I think that’s a terrible precedent, and it’s a very sad commentary, and it’s an abuse of the system,” Clapper said last month when it first emerged that Trump was weighing revoking the clearances of former officials. Meanwhile, Benjamin Wittes of Lawfare said Comey told him he doesn’t even have a security clearance to revoke and that he was “read out” when he left the government, which he said is normal practice. Other former members of the intelligence community, though not named by the Trump administration on Monday, were also evidently infuriated by this announcement.